It’s almost Black Friday. It’s all very exciting. I have two most excellent offers for your consideration. Offer #1: 50% off my Guide Trainings or all 6 for $200! If you join ConvertKit Club (annual membership) or my ConvertKit Rockstars DIY course before midnight Pacific on Cyber Monday, you’ll also get my comprehensive 90 min ConvertKit Spring Clean Workshop (usually $97)! I use a BluChic theme on our Team EBG site. I also regularly recommend their page templates and social media graphics to my clients as a great looking DIY option. 30% off everything! Premium WordPress themes, landing page templates and Canva social media graphics. >> Learn more and get the deal! This is the platform I use to host all my free and paid courses. It’s incredibly easy to use and a great way to get started with selling courses and trainings. As always, if you join ConvertKit through my affiliate link you’ll get a free 30 min 1:1 call with me and ConvertKit Club lifetime access (stuffed full of training + my support). 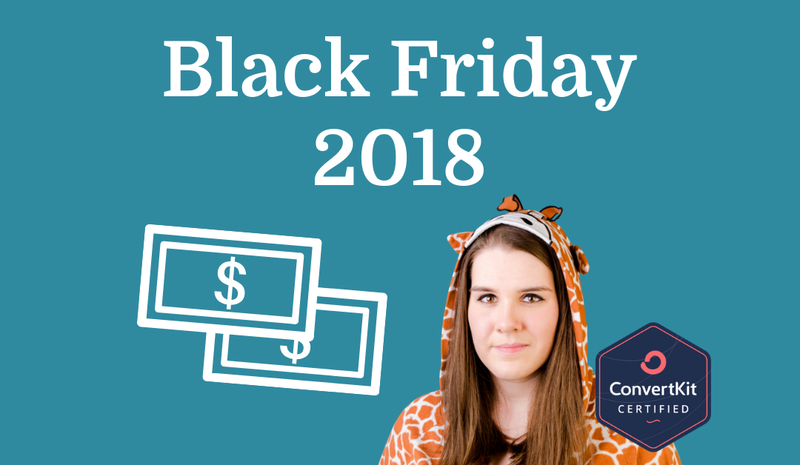 Current ConvertKit customers who switch to any annual plan on Cyber Monday (November 26) will get the next 12 months of ConvertKit for the price of 9 months.